The participants pose at the first FTK Color Run. 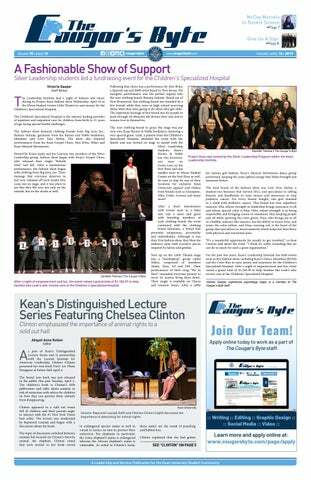 At the end of every spring semester, the Kean University Greek Senate hosts Kean Dance Marathon (KDM), a fundraiser to support the Children's Specialized Hospital (CSH). As the years have progressed, Greek Senate has planned more events throughout the academic year to support KDM and make the donation at the end of the academic year even larger than ever before. This year they hosted the first FTK Color Run to raise more funds for the kids Sunday, April 7. Registration included check-in, picking up shirts, breakfast and tunes provided by DJ Mix in the Mix. The registration transpired in Vaughn-Eames parking lot at 8 a.m. where DJ Nix in the Mix got the crowd pumped for the run. Runners were able to sign in and pick up their complimentary white shirt which would soon be covered with the colors of the rainbow. Also available were bagels and fruit to ensure that the runners were well-fed for the 5K. Participants were also able to get their face painted with KDM icons such as the phrase FTK, which stands for "For The Kids". The Kean Cougar made an appearance at the event and kept the crowd excited for the events to come. After all of the guests checked in, Assistant Director for Greek Life Alexis Louis addressed the crowd and thanked everyone for showing their support for the kids. He spoke on how important it is that people come together to support the Children's Specialized Hospital, and he introduced guest speaker Valerie and her son Daniel. The Cougar made an appearance at the Color Run and interacted with all of the participants to show Kean Pride. Valerie told the audience about her and her son's experience with the Children's Specialized Hospital as they have had a close relationship. She explained that her son was diagnosed with PDD, or pervasive developmental disorder, at the young age of two years old, and then later placed on the autism spectrum. Valerie was told when her son was diagnosed that he would never be able to speak a word in his life. Participants were able to get painted with KDM symbols. Valerie said, "I didn't choose to believe that report, so I put my trust in God and also the services of CSH because I knew there had to be an answer. I knew there had to be a solution. I knew that there was something to be done." The crowd became emotional as Valerie continued. She said, "When the doctor said that to me [that my son would never speak], he was absolutely right when I look back over through time. He said that he would never speak a word, and I said that he's right, because now he is speaking multiple words." something that Valerie thought would never be possible for her son. Valerie told the audience about her son Daniel and how CSH has dramatically helped their family. Following his mom, Daniel spoke to the crowd even though he was shy to show his support for the people that came out to the event. "Hi, thank you for raising the funds to help kids like me," Daniel said. Following the speakers, there was also an appearance by Joe from The Max Challenge, who helped warm up and stretch the crowd to ensure the runners' safety and to get them pumped for the run. Then, the runners headed to the start line to begin the run and become covered with color. The runners ran through clouds of color as they completed the 5K. The crowd counted down and the run began, as the air immediately became drenched with color. 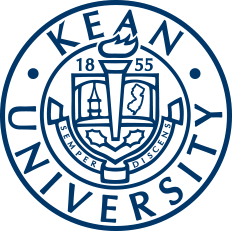 The runners continued on the course which went through Vaughn-Eames parking lot, through Kean Hall parking lot and around Green Lane Academic Building, finally looping around to go through the service road and past Downs Hall to end where it began. Throughout the run there were color stations featuring different colors where volunteers were set up to throw color onto the runners and their white shirts. Also throughout the course were volunteers with water to hand out as the participants sped by. One by one the runners and walkers passed the finish line, where the final big burst of color was thrown on them to celebrate their completion of the course. After the run, everyone gathered together to throw extra color on each other as DJ Nix in the Mix brought back the tunes. The runners were adorned with every color of the rainbow after they completed the run. Ultimately, this event was a great way to help add to the ultimate fundraising efforts of the Greek Senate for this year's KDM. The final amount raised for the Children's Specialized Hospital will be announced at the end of this year's Dance Marathon which is happening this Friday, April 12 from noon to midnight in Harwood Arena.